Where are they? Well, I think I know. 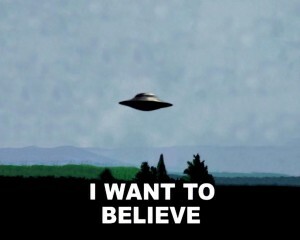 I believe in aliens. I believe we aren’t alone in the universe, or even in the galaxy. And I am not alone. 52% of Brits and 54% of Americans agree. It’s 56% in Germany. And I’ve heard the figure is even higher in Alpha Centuri. help. But much as I want to meet ET. It just doesn’t add up. 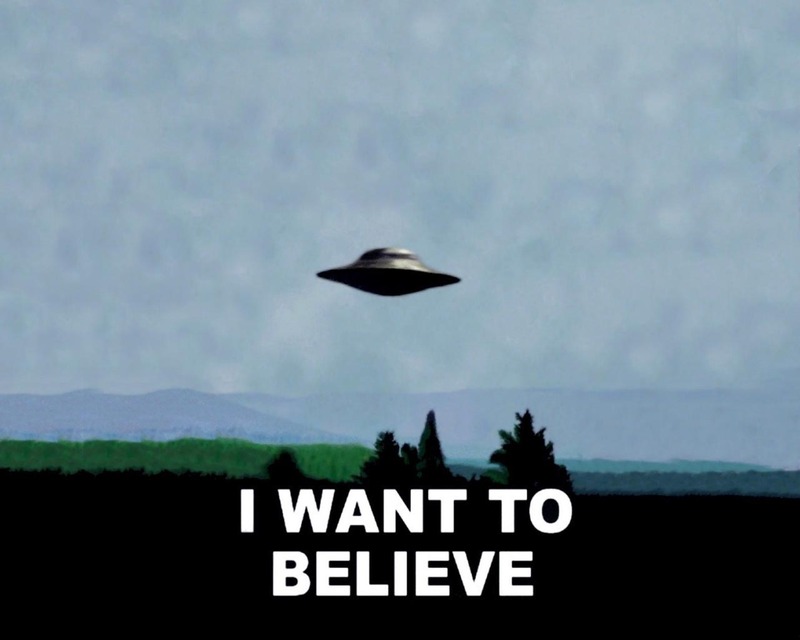 The rate of UFO sightings has increased a great deal but when you compare it to the number of cameras. It is basically going backwards. And the pictures never seem to get any better. 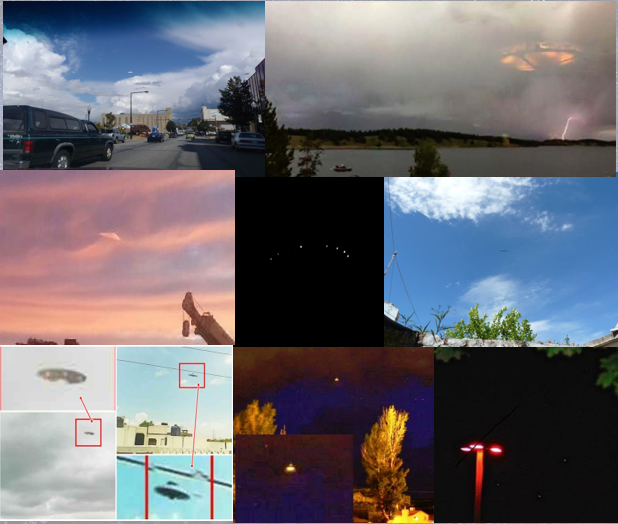 These are supposedly best UFO photos of last year. Is this seriously the best we can do? I’m no expert but I’m pretty sure that last one is a lamp post. I think that if and when they got here we’d know about it. You don’t cross the vast emptiness of interstellar space without a very good reason. You arent coming here for a weekend break on beautiful planet earth. But you probably aren’t invading either. 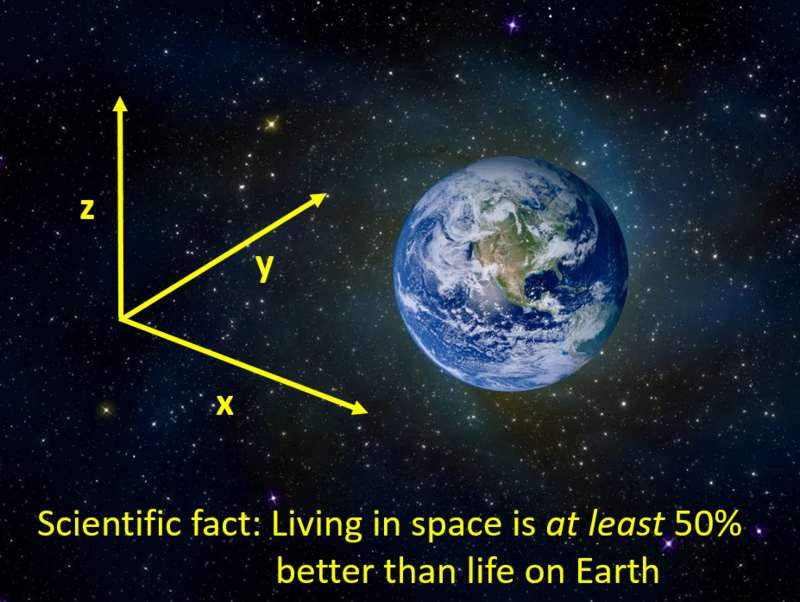 Crossing interstellar space is massively energy intensive and takes a minimum of decades. Coming here to steal our precious natural resources is absurd. That is like swimming across the Atlantic in search a Mars Bar. So it’s all safe. our oil, our uranium, our cows, our womenfolk. Once you reach any level of galactic sophistication you realise that the only real natural resources are energy and atoms; Stars and star-dust. And those are blinking everywhere. They wouldn’t even come to steal our beautiful planet, with its oceans, its sunsets, its cows. No self-respecting interstellar species is going to live on a planet. 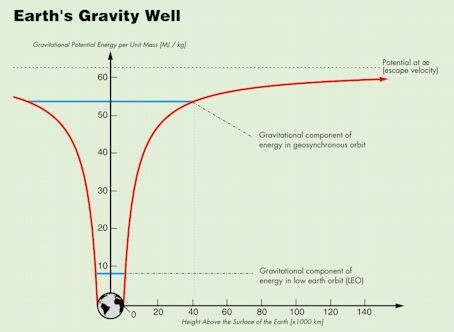 Living at the bottom of deep gravity well is stupid. It’s like. well, it’s like, well.. living at the bottom of a deep well. It might be a lovely well but whenever you want to go anywhere interesting you have to climb all the way out of the well. What’s that boy? Poor humanity is trapped down a well. All the fun stuff happens space. Zero-gravity, have seen how much fun that it is? Once youve tried that, youre not giving it up. 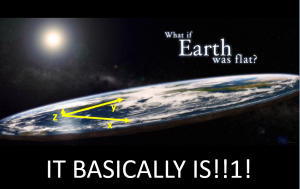 But the great thing is that in space, gravity is optional. You have it when you want it. Spin your spaceship around and you have artificialgravity. Stop it spinning and you can have a party. 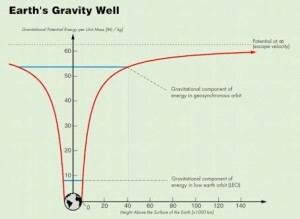 And an overlooked thing about zero gravity is that it literally opens up whole new dimensions. 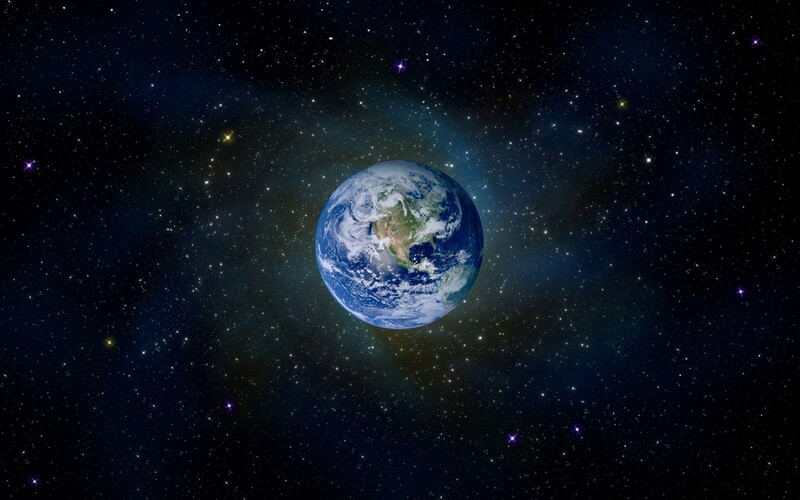 Look at it from an alien’s perspective and you’ll see that humans only live in 2 and a bit dimensions. North, East, South, West with a tiny bit of Up and Down. In space you can take your pick. Just counting the dimensions space is nearly 50% better. Add it all up and only unadventurous, stick in the mud species are staying down the well. Aliens will live among the stars. We have a star But no aliens. They arent here yet and thats a little weird. Actually, its very weird. The was the first person to realise this was Enrico Fermi. Winner of the 1937 Nobel prize for physics. He built the worlds first nuclear reactor. He was famous among his colleagues for his amazingly quick, mental estimates of physical quantities. Playing around with the numbers in his head, he had in just a few minutes worked out that there ought to be aliens. 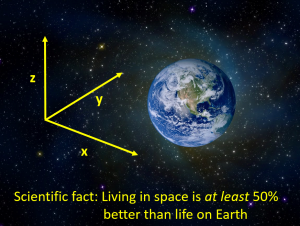 If a species could make it into space and could then travel at a couple of percent of the speed of light it would take a few centuries to get to the nearest star. Allowing for a few hundred years of sightseeing before heading off again and you could cross the entire galaxy in a mere 7 or 8 million years. A blink of an eye in cosmic terms. Now okay there are 400 billion stars to visit. So that seems like a 1 in 400 billion chance.. But supposing on each stage of the way you built an extra spaceship and split up. 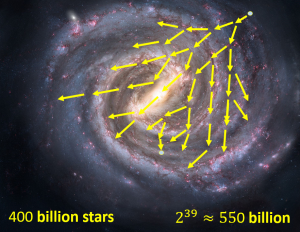 In just 39 generations the galaxy would be infested. And it only had to happen once in the last 13 billion years. 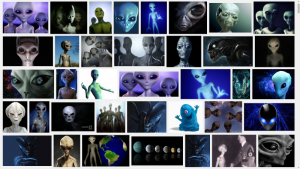 For nearly 60 years people have been looking for evidence of alien life. Nothing. Absolutely no evidence of any life anywhere else. 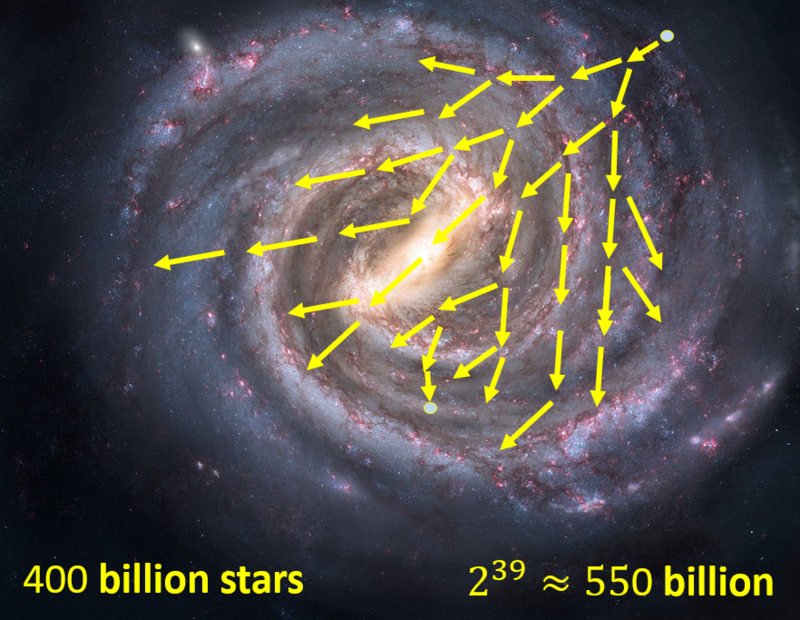 This is known as the Fermi Paradox. It is a puzzle.. But it has a solution. 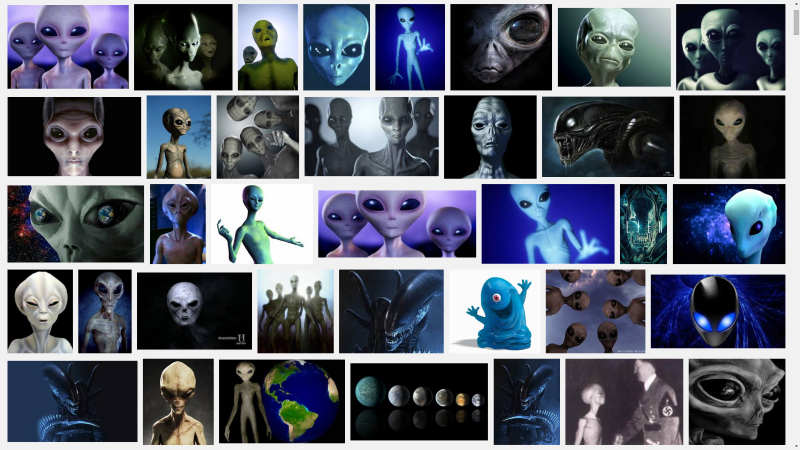 Firstly, you need to realise that aliens won’t look like this. Look at how lazy we become the better our technology gets. Clever aliens wont explore themselves, they’ll send a robot. 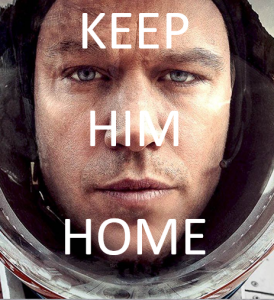 Theyll learn that if you send the alien equivalent of Matt Damon into space, you are basically asking for trouble. 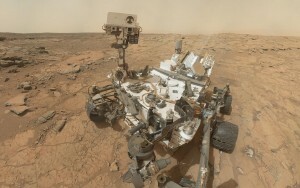 Simpler to stay at home.And send alien Curiosity Rover instead. But what about the aliens themselves? Where’s their curiosity? Well, think about the most interesting, compelling and curious thing in your lives, its not out in space. Its that little glowing rectangle you carry everywhere. 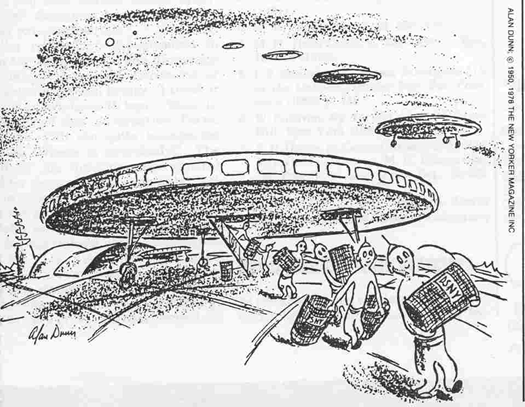 Aliens are staying a home, where they can get a better wifi signal. 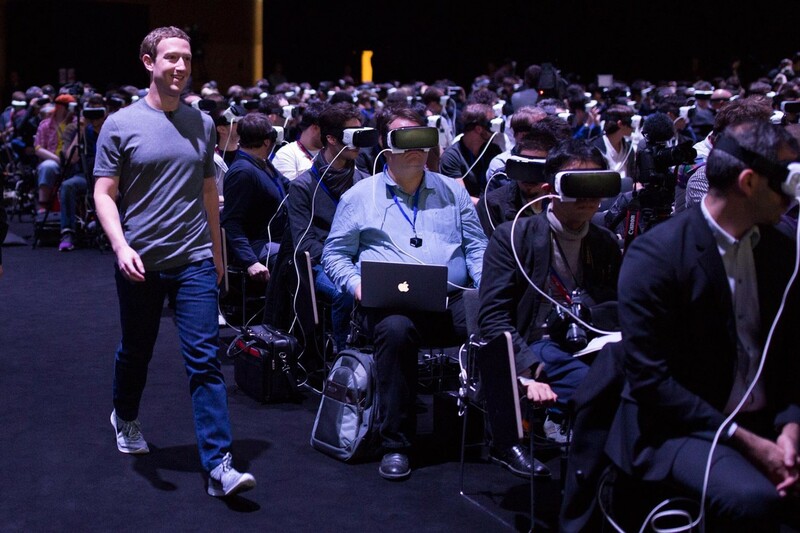 Very shortly that little glowing rectangle is going to get strapped to your face. And then? 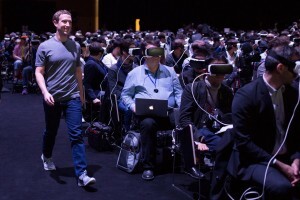 You are exploring but its all virtual. All the fun stuff happens in cyberspace. Of course the one thing even weirder than the idea that there are billions of aliens but that they are all hiding in the Matrix is that there are no aliens that we are entirely alone in the whole universe. This entry was posted in good, life, science. Bookmark the permalink. One Response to Where are all the aliens? gosh…so how many billion lightyears would it take do you think to traverse all 400 billion points in the darking sky eh…nearly as long as that double-take took me picking you up on your comment about capacitance when we slapped our moisting hands down on a couple of coppery plates at Glasgow’s Science Museum. Thank you for that because about a dozen or more years later I think I finally understand. Something. Not everything. Well. I’m a slow learner. And sorry for the randomish comment. I hate stream of consciousness rubbish..but I just couldn’t get accurately on target with what I wanted to say. It kept veering to the left and right. Sorry about that. And you have a fellow enthusiast to count on, my friend Josh, whom you met with me on the train one time when your hair was the same colour as your background monkey. Well done!